27 cuddly stuffed animal patterns that are sure to bring out the child in anyone. 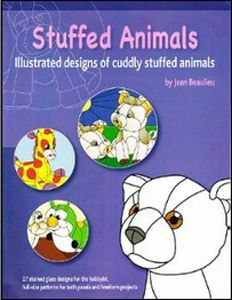 Includes: Cute designs of pigs, giraffes, horses, teddy bears, crabs, kitties, ducks, donkeys, snails, elephants, a seal, a mouse, and a toucan. Each pattern is shown in full color & color suggestions are included.